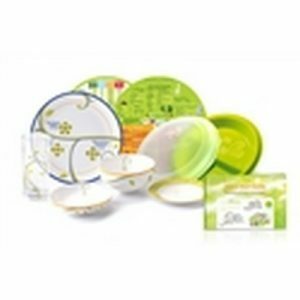 Our portion control Starter Plates not only prevent people from binging on food, it ensures they eat the right type and the right quantity of food. 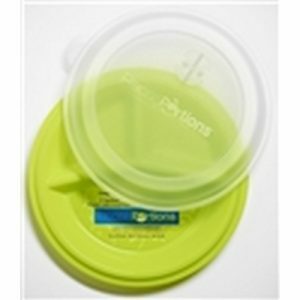 As an excellent visual guide and tool, our fully bio-degradable portion control starter plates enforce the feeling that the plate is absolutely full with delicious food. The foodies at your party will thank you for preventing them from over indulging themselves. 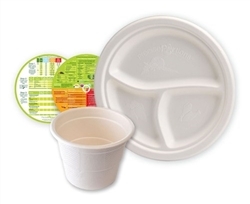 Each of our nutrition focused disposable starter plates is made from earth-friendly recyclable natural fiber that is 100% compostable. 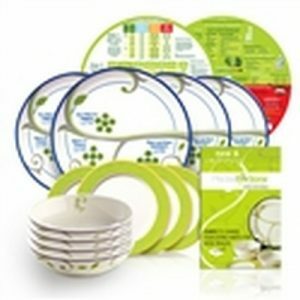 The easy to recognize, 3-sections have elegantly implemented raised icons depicting the food groups for that particular section of the portion control starter plate. No more guesswork Ð the presence of these raised food group icons makes it easy to make healthier food choices and the demarcated sections makes it easy to eat the right quantities. Your family and guests will thank you for being so caring about human and environmental health. 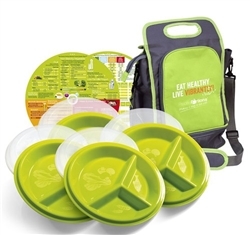 1 Ð 11″ Eat & Learn System Placemat Discs: Pulls it all together for youÉ to make the system as easy as 1, 2, 3! Nutritionists, dietitians and results agree: the best way to manage your weight, blood sugar, metabolism and blood pressure is to eat healthy, because youÕll have more energy, feel better and improve your overall health. The easiest way to do this is through portion control Ð to keep eating the foods you enjoy in proper proportion for balanced and healthy nutrition. P.S. This is a clearance sale and products are sold as is. No returns accepted. Any damaged items will be immediately replaced at no cost to you.